Workshop’s latest artist collaboration was recently launched at the label’s flagship Ponsonby store to a packed crowd of friends, media and industry insiders from both the art and fashion worlds. 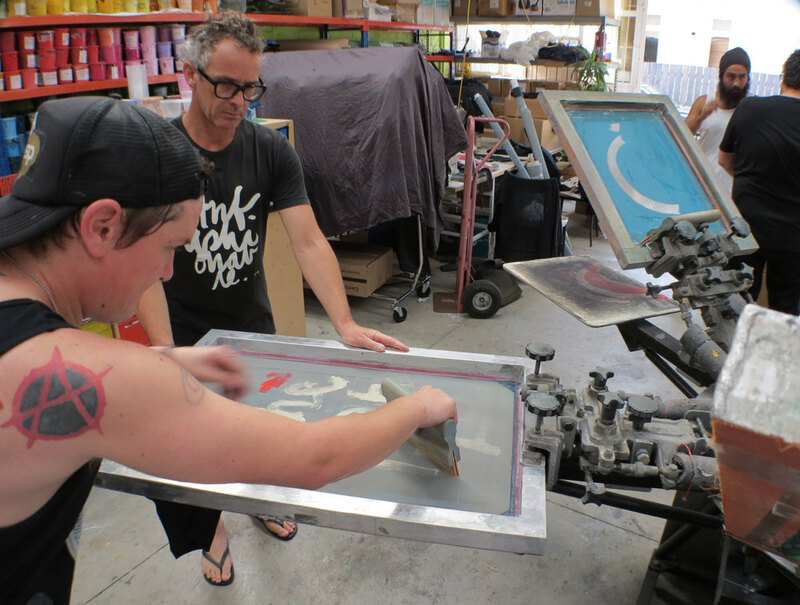 In addition to their designs screen printed by ESP, artists Max Gimblett and Martin Poppelwell visited our factory to create a small number of hand-printed and painted unique garments. These unique garments can be seen at the Workshop flagship store in Ponsonby.